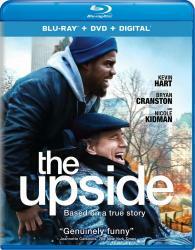 A recently paroled ex-convict, Dell (Kevin Hart), strikes up an unusual and unlikely friendship with a quadriplegic billionaire, Phillip Lacasse (Bryan Cranston), in this "funny and warm-hearted buddy comedy" (Pete Hammond, Deadline). From worlds apart, Dell and Phillip form an unlikely bond, bridging their differences and gaining invaluable wisdom in the process, giving each man a renewed sense of passion for all of life's possibilities. Inspired by a true story, this heartfelt comedy also stars Nicole Kidman, Julianna Margulies, and Aja Naomi King.